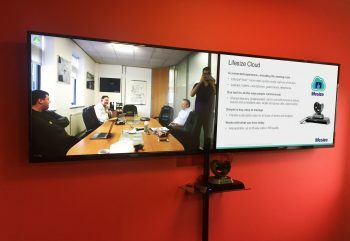 Throughout 2017-18, Ligentia and VideoCentric have worked in partnership to implement a Video Conferencing Solution aimed at improving communications across their global workforce. VideoCentric spoke with the Director of Group IT, to find out about the project so far. Demonstrate & meet their own internal values of ensuring quality relationships, improving teamwork & processes, and driving down costs throughout the supply chain. After thorough research, trials and a pilot scheme, VideoCentric and Ligentia selected Lifesize as the communication platform of choice. This would provide a simple-to-use cloud based collaboration solution for video, audio and data, connected endpoints for meeting rooms in Leeds, London, Shanghai, Hong Kong and Brisbane, and a whole range of user and administration features for desktop & mobile users, reporting & statistics, and improved communications. Leading by example, Ligentia are now using their collaborative solution to improve internal relationships and drive down costs, particularly associated with time and travel. Hong Kong and Shanghai have already changed their monthly in-person meetings – alternating travel with video – and the three UK locations are starting to implement a similar initiative too. The solution in place enables ongoing usage reporting, which means the exact number of conferences had, and the savings made, can be reported on a monthly basis. Although the time and travel savings of using the solution is huge, the most value being recognised is within the type of meetings and improved conversations. 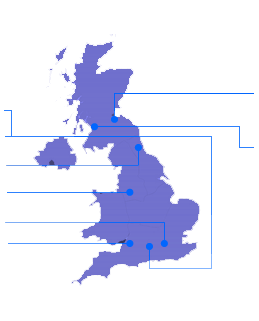 The IT team are reporting fantastic feedback from the users too, whether in a boardroom or from a laptop, and although there were initial concerns about the network capabilities and broadband, the solution has presented very few challenges now it is in place.